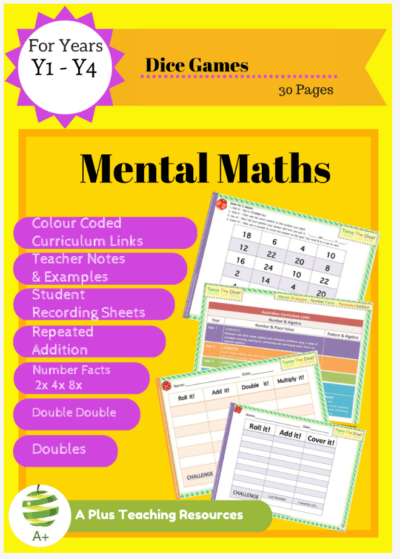 This FANTASTIC Mental Maths Printable Number Games Set is All you need to Practice and Revise Over 40 Number Sense Concepts. 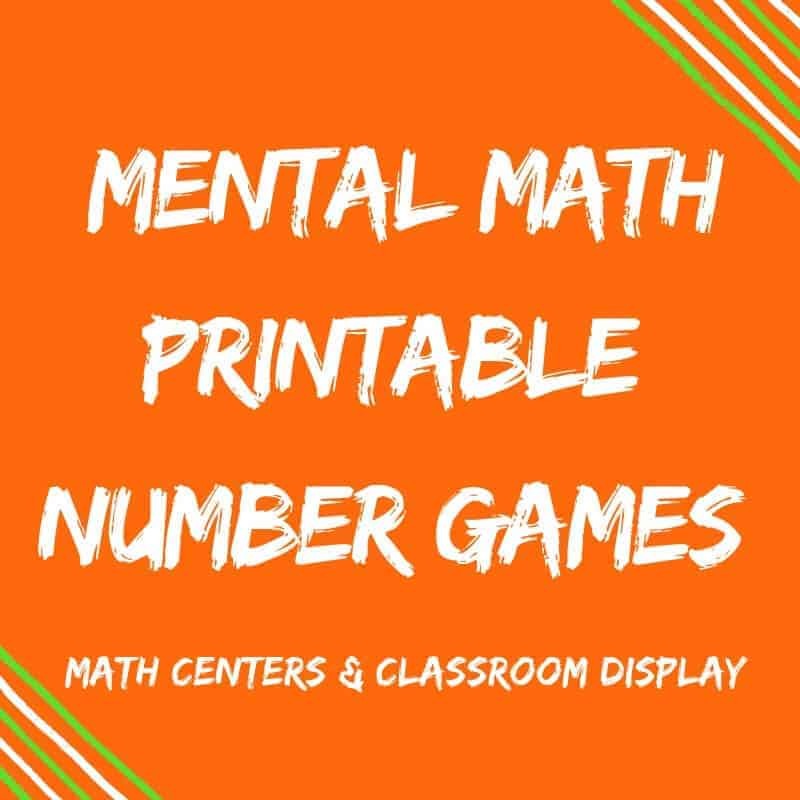 Cool Math Games For Kids of Any Age! 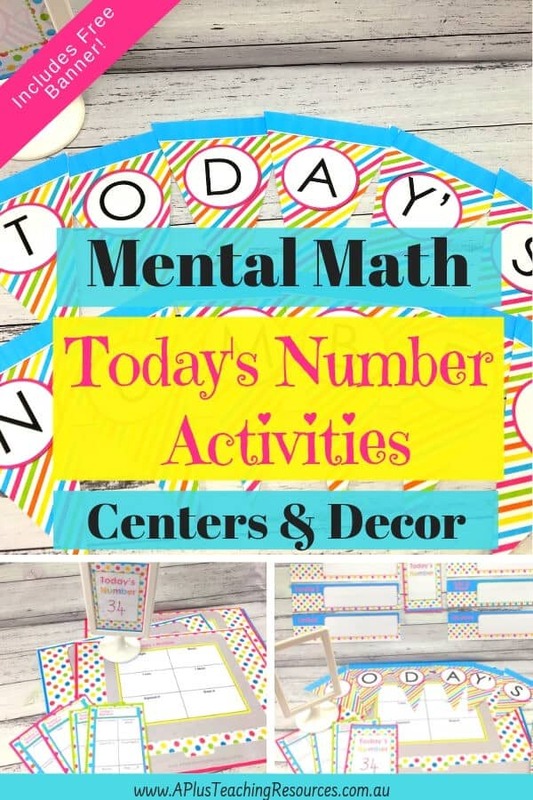 Mental Math Activities are not all about practicing times tables multiplication facts. 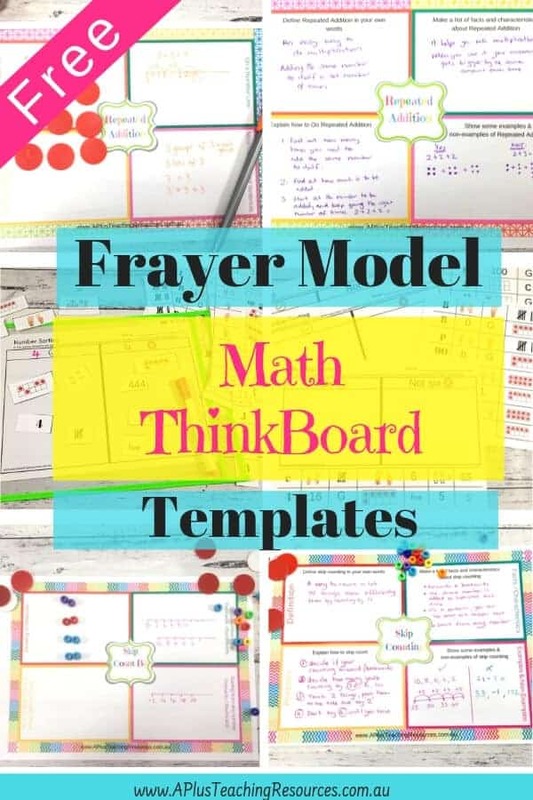 Really great mental math teaching resources cover a mixture of math concepts so kids can revise and build fluency in different areas. 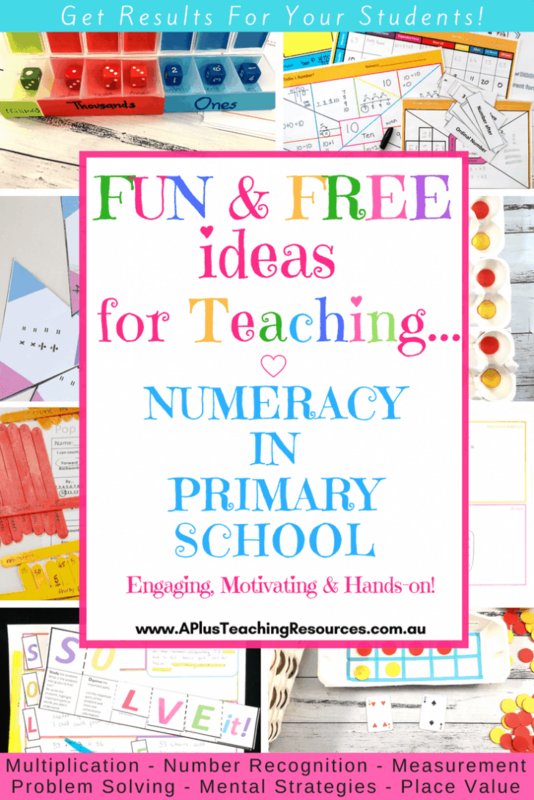 Kids need activities that give them the opportunity to work mathematically and use what they have learnt to solve problems in a range of situations. 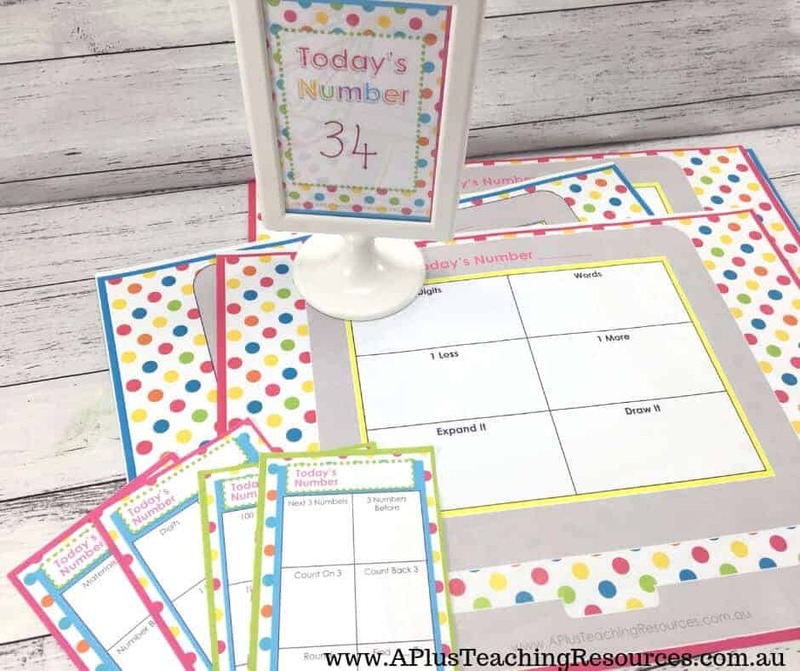 Our latest mental math printable number games kit “Today’s Number” will do just that! 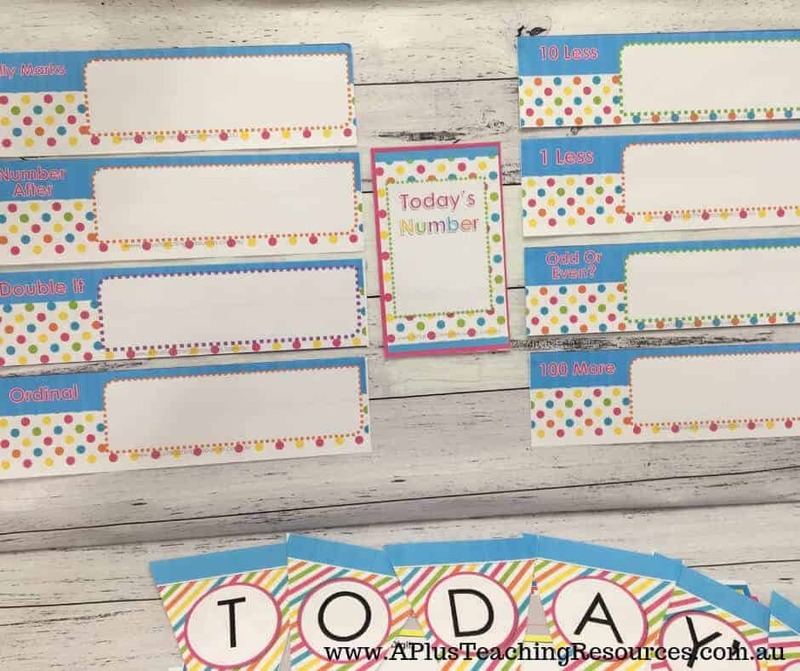 If you already own our 5 Number of the Day Activities Kit then you’ll love this one too. 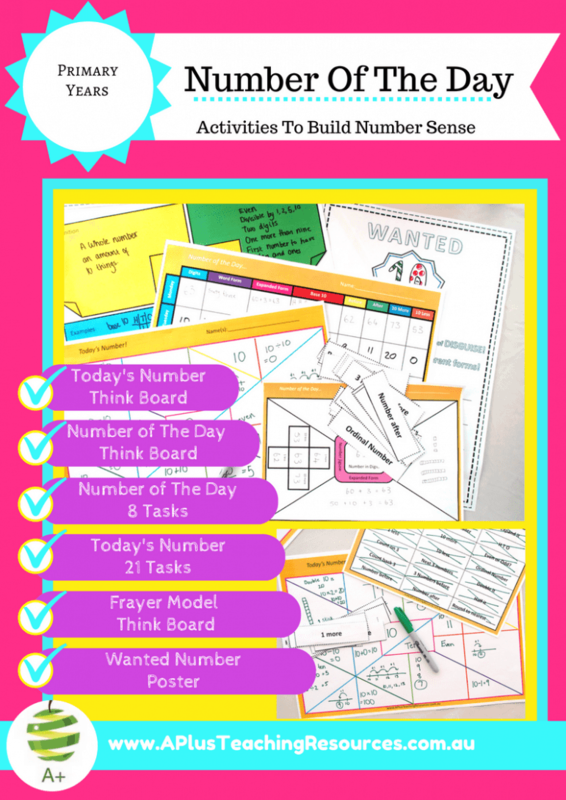 It’s a great addition to your Number Sense Teaching Tool Kit. 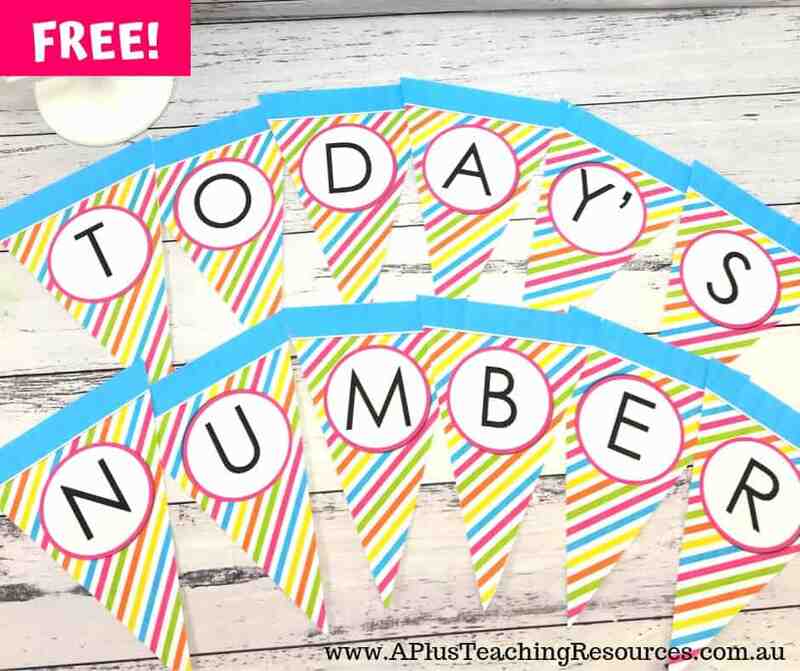 Just for fun Grab the ‘Today’s Number’ Decor Banner for your Classroom for FREE at the end of the post! Mental math is simply that – math that is done in your head, without the aid of physical objects. Being good at mental math is a combination of recalling of rote facts and having a good understanding of the patterns relationships between numbers. Kids with good mental math skills are confident at manipulating numbers in their head to solve problems. Research proves that rote and drill focussed mental math programs are causing more harm than good to students; sadly they are also responsible for students suffering from math anxiety! Drill focussed Mental Math programs will NOT teach kids the strategies to solve math problems mentally. Instead, these programs send out the message that being the fastest means you’re smartest! Kids who can’t perform in pressure situations are left thinking that they are not good at math and disengage from the subject altogether. To stop this rot Mental Maths teaching programs need engaging, open-ended activities. That way kids can explore, share, compare and talk about the mental strategies they use. 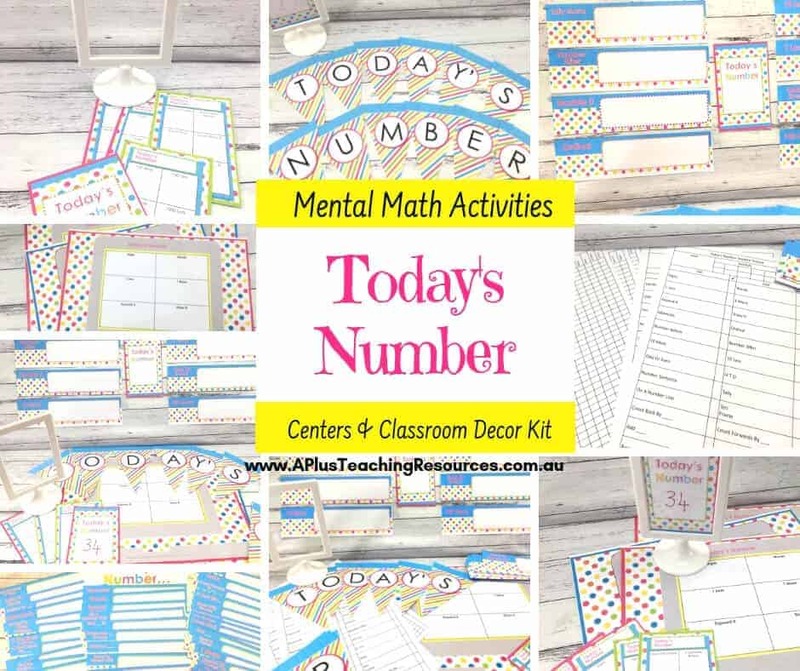 48 Wall Chart Mental Math Problems – Print Cut and Laminate and select the ones you want to use each day. 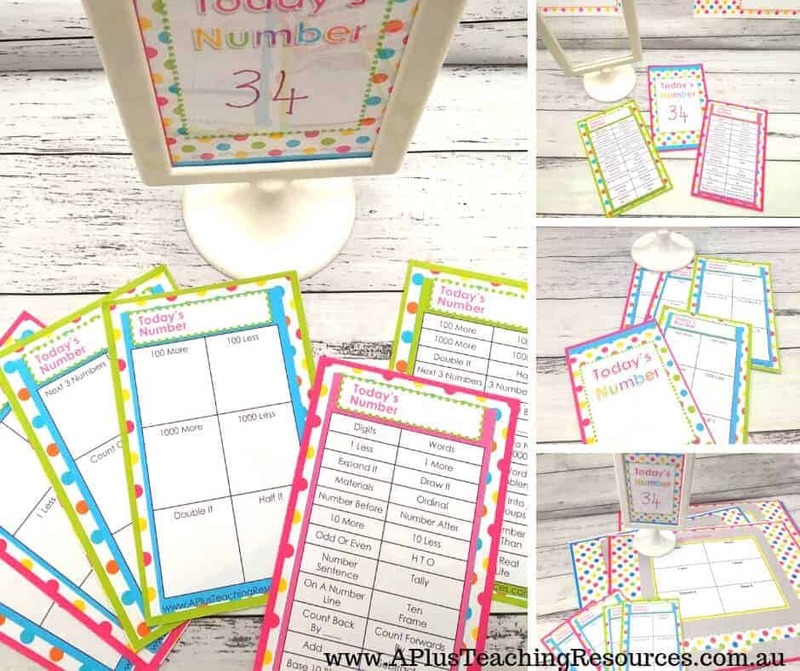 Student Worksheets – Print onto A3 and laminate – We designed the student worksheets to work in your math centers. There are 6 problems on each laptop template and 4 different worksheets. 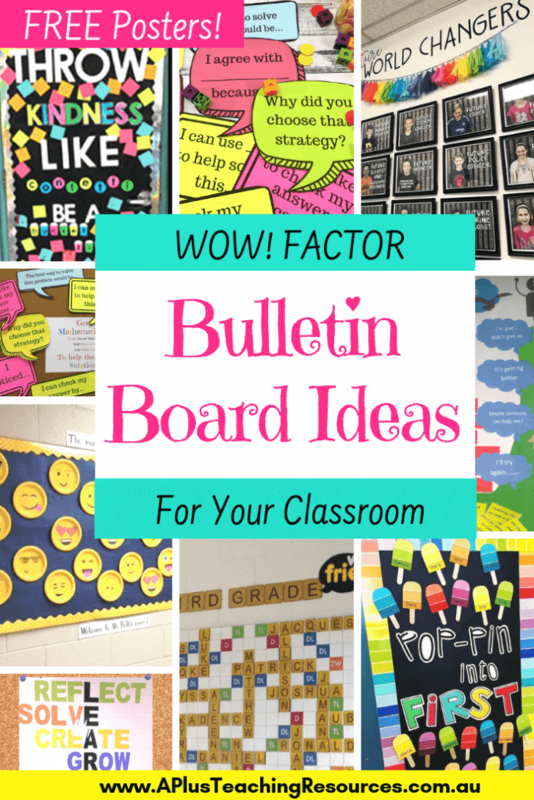 Just perfect for small group work. We differentiated the types of problems into two levels using a pink or green border. It’s subtle so the kids don’t realise they are on different problems. To differentiate the tasks further give the students different numbers. Tolsby Sized Group Work Displays – These inserts are perfect for using with the wonderful Ikea Plastic Tolsby frames. They are available from Amazon in multi packs which makes the even cheaper! 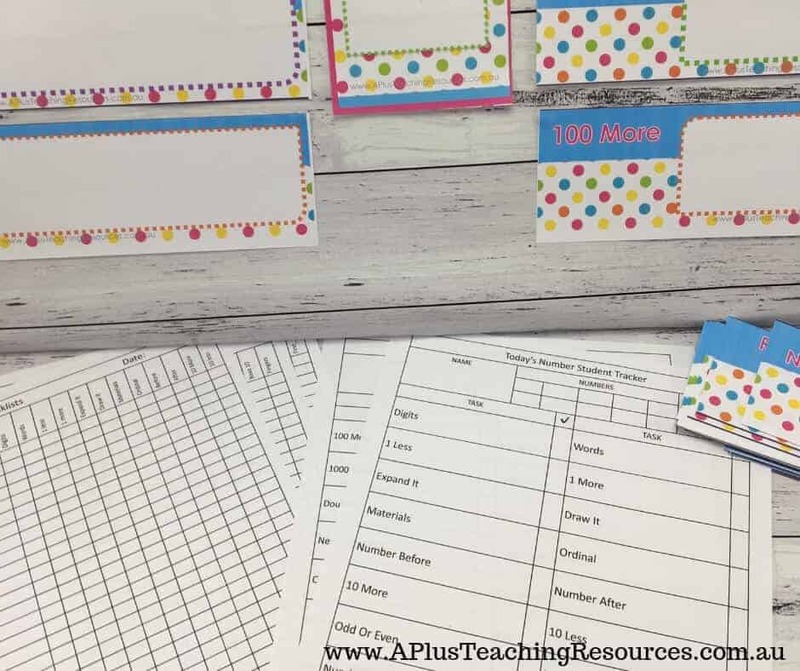 Keep your students accountable with the Student Tracking Sheets. Both Levels included. It also helps you see what numbers they have worked on. There’s also a set of Teacher Checklists so you can keep track of how everyone is doing on each type of Problem. This is a great resource to see what kids need more work on. And perfect for reporting and assessing. Click the image to grab this banner for free!